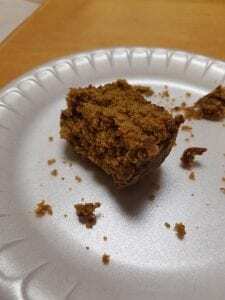 A chunk of pumpkin bread. A well loved copy that has served its time in the department. So what is this Munsell thing that I keep jabbering about? I’ll give you a quick background. 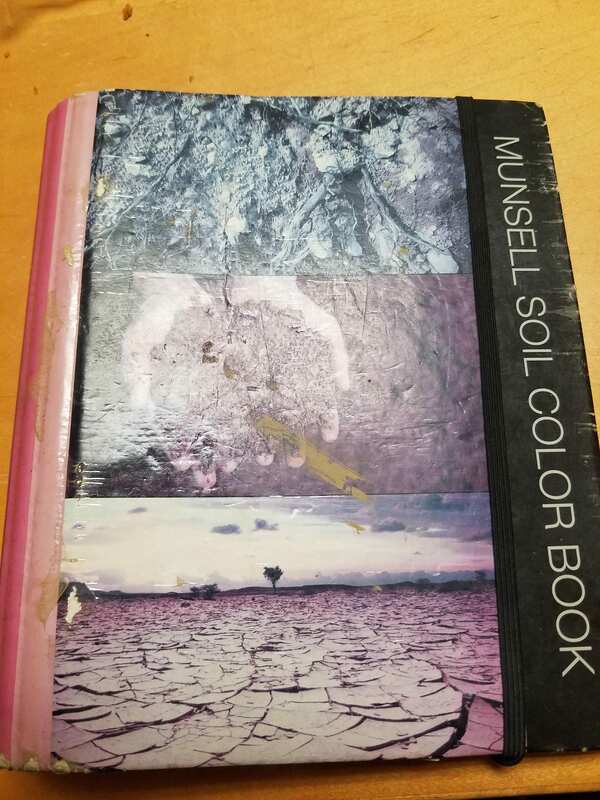 The Munsell color system was produced by Dr. Albert H. Munsell (1858-1918) who was known as an artist and inventor. He created this system to provide a descriptive and systematic form to communicate color. 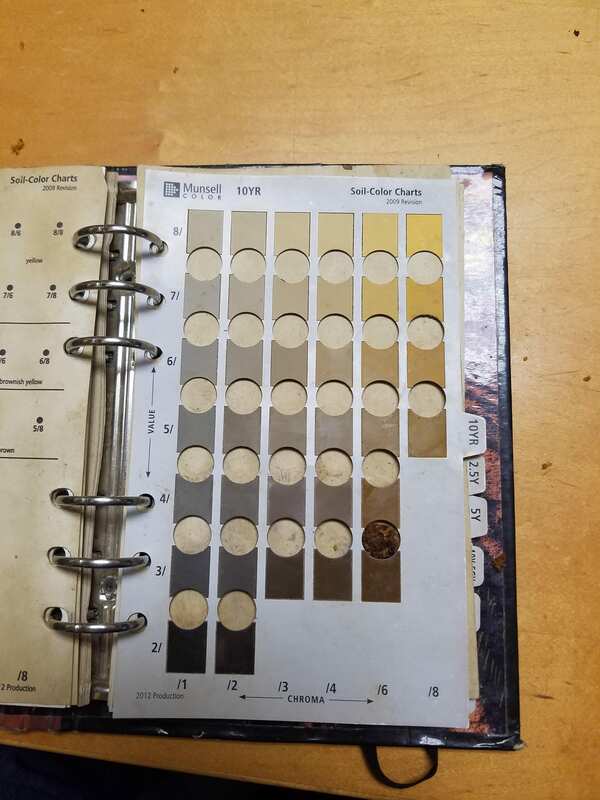 We as archaeologists, and archaeologists in training, use this system to describe the color of soil layers in a profile. 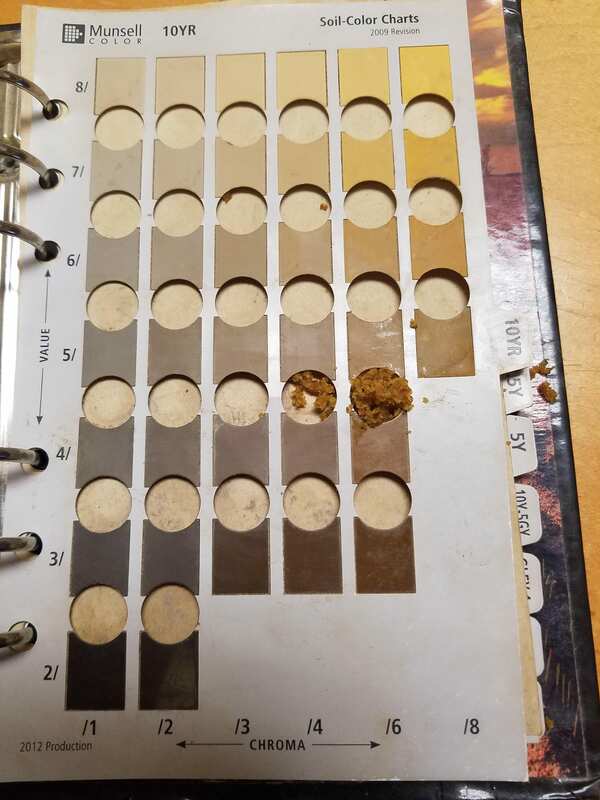 Normally, you take a sample, pack it down, and place it under the color chip on the chart. Be careful to avoid touching the color chips as colors can fade and these books aren’t known to be cheap. I would love to talk more about the Munsell system itself but I honestly don’t know all that much about it. This was something of a refresher for me and a learning experience for myself and a few cohorts. 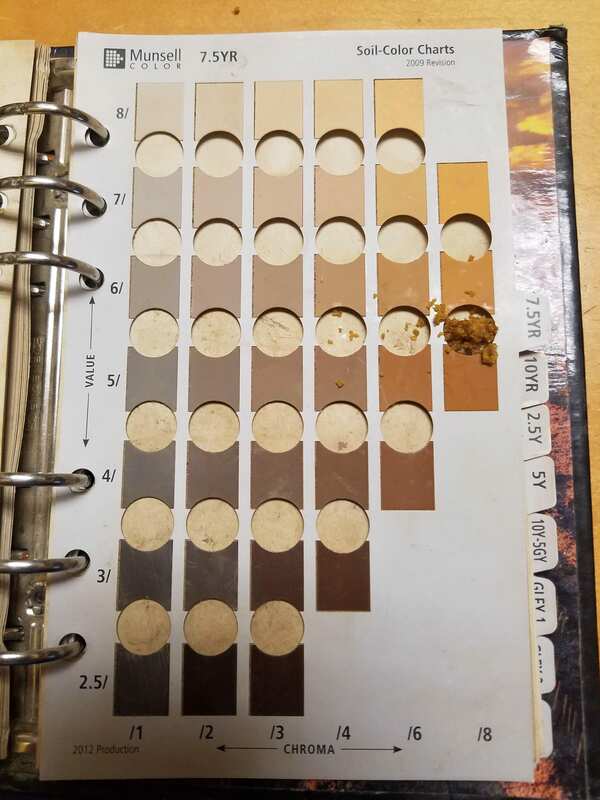 I attempted to do this alone, going from page to page, comparing the color of the bread and those in the charts. Frankly, I couldn’t get a perfect match but had a thought on the closest color. I was thinking something along the lines of 10YR 4/6 (dark yellowish brown), truthfully it is a bit more yellow than any of my pages show. Unsure, I did what all good social scientists should do and found new perspectives. By found I mean left my office to see Janee and Heather who were nibbling away at their own lunches. Both could see where I was coming from and partially agreed. There was the suggestion of 7.5YR 5/8 and this interests me. We may have this standard system but we do not all see the exact same shade or hue. What I think belongs on 10YR, someone else might think goes on 7.5YR. However, there is one piece I overlooked and that was the crust. 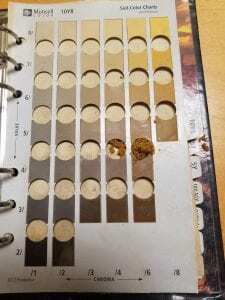 After consulting the physically closest cohorts, a few of us agree that it’s 10YR 3/6 (dark yellowish brown). Again, I find it interesting that some colors we see may look the same or completely different. This makes me wonder how effective the Munsell system will be in the future of archaeology but that’s a thought for another day. Maybe if I get to do a Part 2 I’ll ramble on the topic. 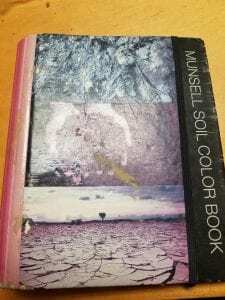 You can learn more about the Munsell Color System at Munsell.com.